Joni Roberts was lodged in the Clinton County Jail. 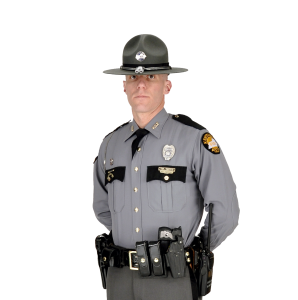 Albany, Ky. (April 9, 2018) – On April 8th, 2019 Troopers from Post 15 received information about a subject trafficking methamphetamine out of a residence on Wisdom Dock Rd, 3 miles west of Albany. A search warrant was obtained by Trooper Jordan Carter and executed at approximately 4:35 PM CST. While searching the residence, Troopers located several small glass pipes, small baggies, digital scales, a handgun, a police radio, and a large amount of suspected methamphetamine. 39 year old Joni Roberts of Albany was arrested and charged with trafficking in a controlled substance 1st degree 1st offense > 2 grams methamphetamine, possession of a controlled substance 1st degree, 1st offense, possession of drug paraphernalia and possession/use of radio that sends and receives police messages. Roberts was lodged in the Clinton County Jail.